The client is a US-based fintech startup, founded by a financial analyst. The product is a bank analysis software platform, created with the goal of improving the functionality and user experience associated with financial reports. The product aggregates the latest financial info from a number of federal government sources. It then applies novel “extract, transform, load” (ETL) methods to the raw data to make it more suitable for interactive data exploration. Hence, the exhaustive data store containing more than 13 years of historic records for 10,000 US banking institutions, is easily searchable and available to users on a round the clock basis. 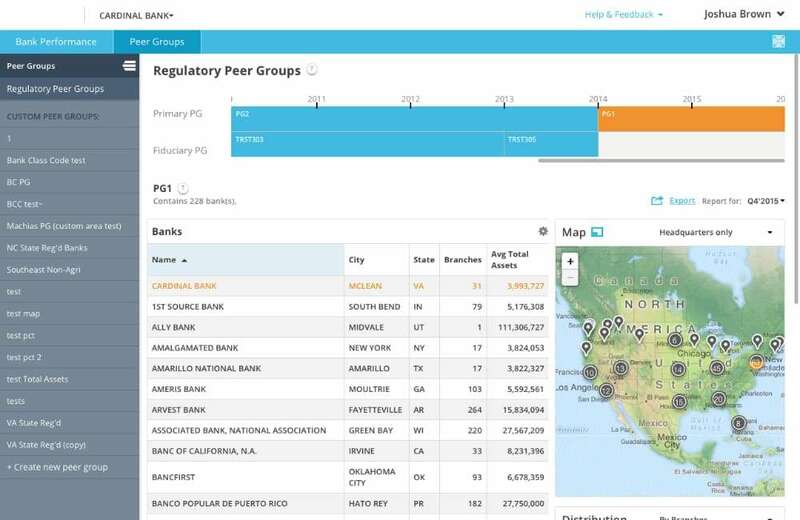 Every bank can be analyzed and compared to other institutions based on up to 1494 metrics. According to these criteria, the banks are organized into automatically predefined or manually created custom peer groups, enabling easy and relevant comparative performance analysis. 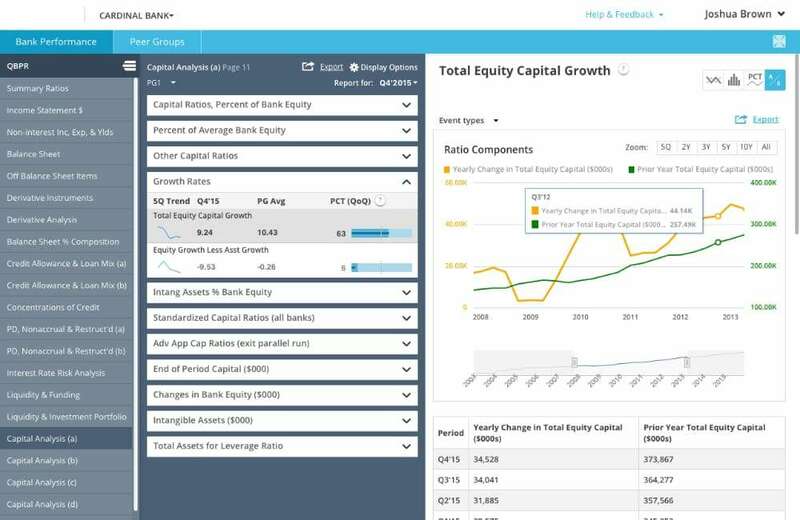 Using the past data, the system can calculate the average bank performance ratios and compare this info to any other bank within the peer group. All reports are easily exported in convenient formats (Excel, pdf). Processed data can be presented in interactive charts, histograms, and waterfalls. The users can drill down within the information, click through the reports and add context to the records through data “mash ups”, making the best use of available data. In addition, our team has implemented a custom map point clustering algorithm. This allows us to present numerous markers on a map in a convenient and user-friendly way. 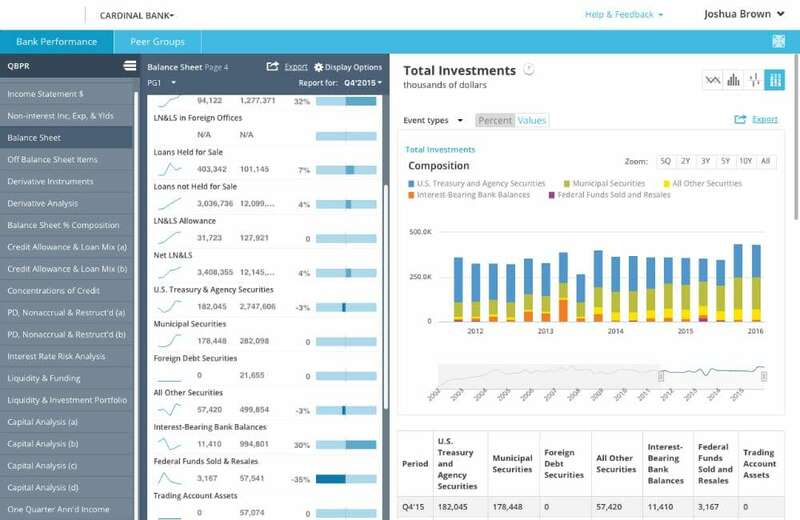 We have transformed the way users access and interact with the financial info through major design enhancements. The product’s user-friendly interface has an obvious advantage over the outdated industry tools, offering a flexible solution with intuitive UX and clean UI. It took nearly 2 years to develop the product from scratch. The final solution includes the full suite of financial data reports augmented with powerful features, like interactive data visualization, point-and-click peer group builder, exporting capabilities, “smart” bank search, geo-location and custom mapping features. The Technology stack consisted of Microsoft SQL Server, Microsoft ASP.NET, HTML/JS/CSS (AngularJS, LESS). Additionally, SSIS (SQL Server Integration Services) was used for the ETL process, OSM (Open Street Maps) – for map point clustering, HighchartJS – for graphs and data visualization. The team used Git for version control. Continuous Integration was implemented using JetBrains, and TeamCity.